Christmas may be a couple of weeks off, but over at Bingo Chimp it is going to feel as though it is Christmas every day. The online bingo site is now offering players the chance to celebrate big with lucky draw tokens a plenty, to some of the biggest jackpots in the online bingo world. On Mondays and Tuesdays, when you decide to deposit £20, you will be entered into a Daily Raffle prize draw. You could be the lucky recipient of a £50 Amazon voucher, £100 in Casino Cash, or £50 in Casino Cash. On Wednesdays and Thursdays, you can get yourself into the draw by making a qualifying deposit of just £25 in all. This will enable you to potentially win a £100 Amazon voucher, £100 in Casino Cash, or another £50 in Casino Cash. The stakes are upped on Fridays, with players able to win an iPad Mini 4, or the same £100, or £50 Casino Cash Prizes from Bingo Chimp. All they have to do to get involved in this prize draw is simply deposit £30 or more. On Saturdays and Sundays, any player who chooses to deposit £20 or more will qualify for the final draw of the week. This prize draw promises a luxury Christmas hamper, with players also eligible to pocket £100 in Casino Cash, or £50 in Casino Cash if they are chosen to be on the receiving end of the prize draw’s goodies. 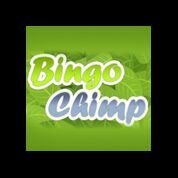 The Daily Raffle is just one of many Christmas themed offers currently on the go at Bingo Chimp. To fill your stocking with great prizes, make sure you decide to play there this winter. You can get a free £15 sign up bonus when you join today.